If you’re not ready for parenthood, chances are you’ve considered using birth control in one form or another. Here, Marla Ahlgrimm taps into her 30+ years of experience in the area of women’s health to offer answers about contraceptives. 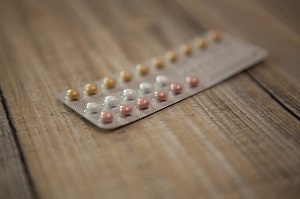 Marla Ahlgrimm: Traditional birth control pills are a combination of progestin and estrogen. They may be taken on a 28 day cycle, which still allows a woman to have her monthly period, or as a continual dose with a period just once a quarter. The minipill is a progestin only form of birth control that must be taken at the same time every day in order to maintain effectiveness. Q: I would never remember to take a pill every day. What are my options? Marla Ahlgrimm: If your hope is that pregnancy is a couple of years away, a long-acting reversible contraceptive may be an option. The three most common types of reversible birth control include intrauterine devices, contraceptive implants, and injection. An intrauterine device or implant allows for the return of fertility shortly after discontinuation whereas contraceptive injections may take up to a year to allow you to become pregnant. Q: Are condoms still a viable birth control method? Marla Ahlgrimm: Absolutely, and especially if you only need to prevent pregnancy occasionally. Condoms also have the added benefit of offering protection against sexually transmitted diseases. This is especially important if you have multiple partners or partners who have a sexual history with which you are not familiar. Q: Does “natural” family planning really work? Marla Ahlgrimm: Monitoring your body for signs of fertility is the oldest form of birth control in sexually active women. It is not as effective as assisted birth control but can help reduce a woman’s chances of becoming pregnant. Abstinence is the only form of natural birth control that is 100% effective.